well, it has a goat in it. Step 1: Put in a goat. Alright, I think I got something: You play a goat that needs to eat some bushes without being discovered. Basically a top down stealth game where the environment can be consumed. I guess I just want to make a cover of this game, but retheme it in a garden and you are a goat. So yeah, a cover game. I suspect something will go horribly awry, and I will need to change everything. But that is the fun of it, making things up as you go along. Oh also, I don’t really have 48 hours, because I have some other plans. SPECTACULAR FAILURE HERE I COME! Way back when before LD#19 I decided to build a game engine for doing LDs quicker and better. I had not actually done an LD to that point, but I knew that my speed in C++ coding wasn’t going to get me working quick enough. I started building an engine in Lua so that I could code super quick. The reason that I didn’t just use Love2d is because I wanted to be able to easily port my games to iOS, and at that point love2d didn’t support iOS. I called it blud as a tribute to love. Seemed opposite and the same in some ways. So the first game was soundman stepper, and it was super fun to build! Lua is awesome to work in, super fast, the entire reference for it fits on three pages. After that compo, I realized that you really need to enter flash games to have a small chance of your games being played, so I switched over to AS3, and learned enough of flixel to get by. In the meantime I kept developing blud, and started borrowing more and more features from flixel into the framework. 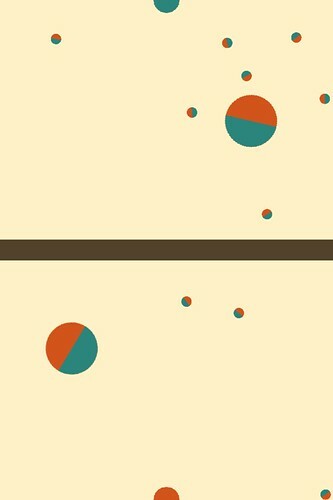 For mini28 I did a game for iphone called pyoing, and released it on the app store the next day. I kept developing blud, and for LD21 I did a game called martin vs monty. That one is yet to be released on the app store, but hopefully I will get back to it and polish it up and such. In between these things, I actually started getting paid for being a game developer. The first fruit of these labors has finally popped out. I am still using the code that I developed during and for LD to some extent, and the lessons that I learned during LD to a large extent. Pugs luv beats is a music composition game, and it is available for the iphone and the ipad. If you want to read some superlatives, you are going to have to go elsewhere, because I am not too good at writing them myself. Luckily create digital music did a nice writeup of the audio side of things. Not much update graphic wise, so no new stuff there. Audio wise, I got the steps / phrases / and chains clicking forward, so you can kinda sequence. There is only one instrument currently, and you have to load the sample from the debug console, but here is a quick demo of what you can make so far. Sorry gents, I got this other project that is calling my name. I think I am going to be posting updates on ludum dare anyways, and try to get something nice together for sunday night. I am doing a kinda sorta clone of LSDJ / LGPT for iOS. Due to the limitations of multitouch, I am going to have to make some changes. Like chording isn’t possible in the same way, and things need to have more on screen stuff. I have a few ideas of how to deal with that though. I currently have a synth that can trigger samples at different pitches, and the phrase / chain / song structure together. I need to get the looping working, but the structure is there. By the end of the weekend, I would like to have the PTCH, VOL, and FILT commands in. I suspect that I will be hard coding the samples in for the time being, just because I don’t think I can implement physicsFS this weekend. I might give it a try though. Look forward to demo audio links. Did a bunch of work on itch over the weekend, I now have it close feature parity with the last time that I wrote it. Strangely enough, it seems to be at bug parity as well. Or maybe just some of the bugs. Any who, I got this fine chunk of code running. I added a few essential features that were missing from the last build. You can now delete ops, and the system saves and loads the project that you are working on. I think that I just want to smooth out some of the bugs, get the turtle drawing tools (pen down, pen size, pen color, etc), and then I will be ready to submit. This is certainly going to be a rush, and I am going to release it in a bit of a rough state, but better to release then not. Well, I may have screwed myself for the october challenge. I decided to change projects. I decided that a brainfuck interpreter for iphone is retarded, and no one would want to use it. Well maybe there are a few people. The other problem was that my core programming interface was really bad, and it was hard to enter programs. I just couldn’t bring myself to work on it more. I decided to resurrect an old project that I never released. Itch is a partial clone of scratch for iOS. I wrote a bunch of it way back in the day, and even have videos and stuff. There were a few problems with it. One big one was that I never implemented saving, so it was a pain to work with. Another was that a bunch of the interesting opcodes were hidden in an arb opcode. Yet another was that I was paranoid about both apple and the scratch team, on one hand apple was way more strict about interpreted code, and on the other I didn’t really understand code licenses, and was afraid of the scratch one. No longer! I have started rebuilding the project, and have a pretty good stab at it going after one weekend of work. I am probably just going to include the logo / turtle ops this time around, and leave the interactive and sprite drawing for another time. If I have time I might throw in some sound opcodes. To see. In all likelyhood, this will make me miss the october deadline. I will try my hardest, but if I don’t make it, at least I am not putting out something that I think is a bad idea down at the core. Hey folks… This is me throwing down the gauntlet on the october challenge. I did it last year, and made some good money, so why not do another round and see what I can come up with. I have been working on a sequel to the project that I did last year, but not that hard. This year, I am doing a brainfuck interpreter for iphone, with 2 new opcodes that allow for waiting for a timing sync and playing a note on a synthesizer. I got the interpreter working pretty quick, and did a crappy interface for it and a really basic synth back in june. You can see a video of that version of it here. After I finished that, I realized that it would need a ton more work and shelved it while my real job took off. I also started work on expanding it from a single interpreter, to 8 interpreters so that you can get a few different instances running at once with different synthesizers. I don’t really want to spend too long on this project, but I think I can jam out the synths in a day or two, and then get the file loading working, and that should be good! I should mention that this is not a game, more of a music app, but that is where my skills lie, and I think this is closer to completion than any of the games that I did this year. Also I think that it is a bit easier to stand out in the music market than it is in the game market, so that is where I am going. I tried not to post that much today, actually, I just forgot about posting in the whirlwind of finishing the game. It isn’t a compo game, I worked on it with Sean and Yann for graphics and sound, and I will be posting it on the Jam page shortly. First, some screens. Right now it is iPad only, so kinda hard to distribute. I may spend a bit of time tomorrow trying to get it working on osx or windows. And of course a gameplay video and a timelapse of the completion. Added in the knife controls and physics, and the rest of the player controls. Also added in the graphics for the second character as well. Don’t have the level goals in yet, and it is kinda disconcerting. I should probably just jam them in and use the real graphics when they get done. This is kinda taking a bit longer than I expected it to… Really need to get the full game loop in soon. 33 queries executed in 0.114 seconds.